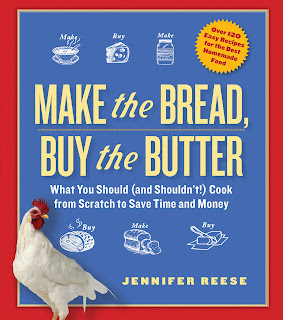 "Trying a new recipe is as exciting as going on a blind date," Barbara Kingsolver writes in Animal, Vegetable, Miracle. Obviously, many of us do not find blind dates exciting, we find them terrifying, boring, and/or hellish, but I know what she means. It's how I feel about starting a new cookbook. 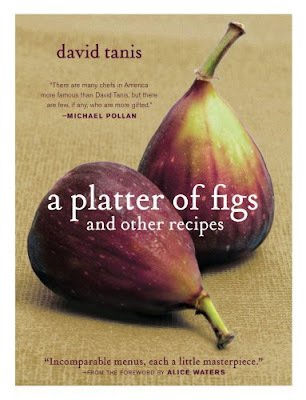 David Tanis's exceedingly handsome Platter of Figs, which has been glowingly reviewed everywhere, is divided up into four seasonal sections and since we're all so very seasonal now, I'm going to cook the six winter meals and move on to another book. In spring we'll do spring, and so on. Tanis, who is the head chef at Chez Panisse half the year and lives in Paris the rest of the time, presents his recipes in the context of complete meals which I'm going to try to cook in their entirety. Here's Alice Waters in the foreword: "David's menus are incomparable. Whatever the occasion, they all share a certain quality of harmonious simplicity uniquely his." I worry that "harmonious simplicity" will make me feel messy and overcomplicated, but am otherwise looking forward to this blind date. Yay! I'm stoked about this book.